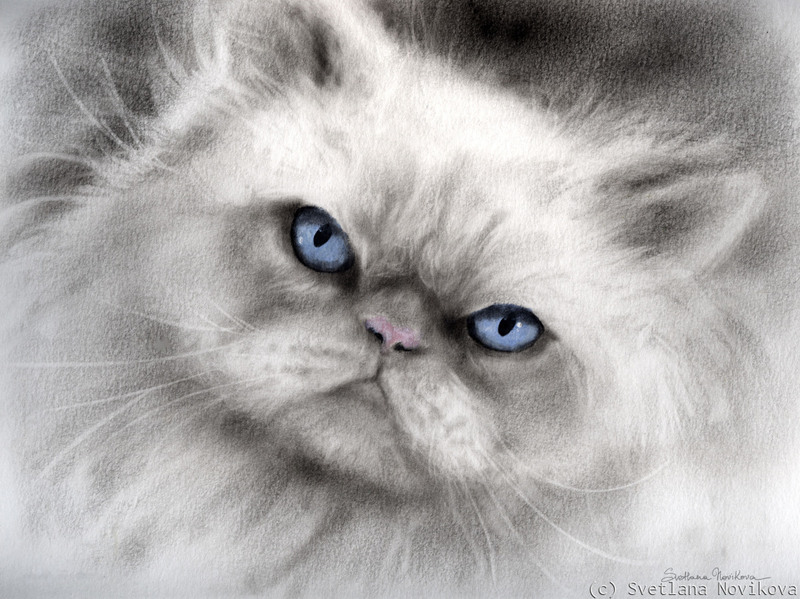 Intense Persian Cat, oil on paper by Svetlana Novikova, all rights reserved. Original is currently available, 9x12 approx. size. Colors on the original may look slightly different then colors on the monitor.